Big restroom trailer fleet for a big city need with VIP To Go restroom trailers Austin TX! Bigger is better even with restroom trailers in Austin TX. Whether you have an oil field that you are just setting up or an old rig that lacks the comforts of home, keeping your crew comfortable, sanitary and happy helps them to be more productive. 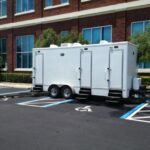 From large apartment complexes to security companies and drilling rigs, VIP To Go has the restroom trailers that you need to meet the sanitation requirements of your crews. 1. 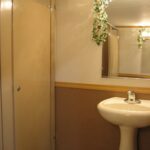 Large apartment complexes hosting huge events or under restroom renovation. The capital city of Texas is not just big, it’s the 11th biggest city in the United States. The Austin skyline along the Colorado River is chuck full of skyscrapers and huge apartment complexes, millions of people living together in the dry heat, looking for any excuse to put on their dress boots and throw a party! 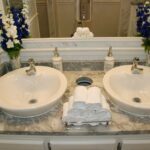 When it comes to a bathroom trailer rental Austin TX has access to VIP To Go, a reliable rental company with a fleet almost as big as Texas itself, and ready to mobilize on a moment’s notice. When you need a Restroom Trailer rental Austin TX turns to VIP To Go. 2. Oil field rigs, old and new, need restroom trailers in Austin TX. VIP To Go restroom trailers are strong, durable and built to last. Our rigs are built to be easily maintained, operated by either a water hose and simple electrical outlet or, in the absence of these conveniences, a filled water tank and generator. Our restroom trailers were built to handle big jobs, with extra large clean water and waste water tanks, ready to meet the needs of your biggest job. With our shower trailers we can handle your messy jobs, too, and make living and working on an oil rig that much more comfortable for everyone. 3. 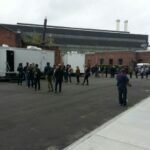 Events around the city. 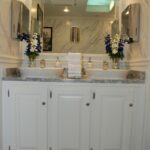 VIP To Go is your restroom trailer company for the biggest jobs. 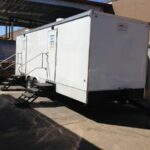 With our fleet of about 150 restroom trailers and multiple shower trailers in Austin Texas we can handle any job. We specialize in large, long term commercial jobs and can offer excellent pricing on monthly or even annual rentals. In fact, VIP To Go is so committed to meeting your needs that we offer trailer customization, if you need it, and fast delivery to meet tight deadlines. With a restroom trailer rental Austin is not alone in Texas. From Dallas to San Antonio, Austin to Houston, VIP To Go delivers trailers throughout Texas for large scale public events, commercial businesses and rigs, government emergencies, and other large events– whatever your restroom needs VIP To Go is here when you need restroom trailers in Austin TX or across the Lone Star State. Austinites know the call VIP TO GO today to reserve your restroom trailer rental in Austin Texas. When you need a porta potty wedding rental ensure that your guests can answer nature’s call in comfort and style. VIP To Go makes that possible. 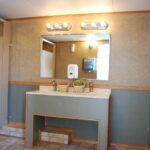 A Portable Bathroom Trailer: 3 Great Tips! 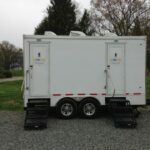 VIP To Go offers the newest portable bathroom trailer rentals, can actually save you money, and can improve your company morale.